The cult compound where 918 people ended their lives is today in ruins. 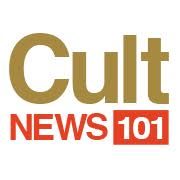 On the hot afternoon of November 18, 1978, over 900 members of a religious sect known as the Peoples Temple stopped what they were doing and listened. Across a camp they called Jonestown they could hear the voice of their guru—the now infamous Jim Jones—crackling from the public address system. He instructed them to meet at the compound's central pavilion, as they'd practiced numerous times before, to take part in a final act of "revolutionary suicide." One by one they gathered in the clearing they’d carved out of the Guyanese jungle and drank a lethal concoction of Valium, cyanide, and Kool-Aid. A third of the victims were children, served by their parents, and within the hour the compound was quiet and scattered with bodies. Finally Jones shot himself on the podium where he'd so often led his followers in prayer. The now-called Jonestown Massacre saw the largest deliberate loss of American life until 9/11. Today, 40 years on, the event holds a unique place in US history as well as in the psychology literature on obedience. Dozens of articles are written on the community every year, while the phrase “drink the Kool-Aid” has become entrenched in the public lexicon. But what’s left of the place itself? Jonestown in the 1970s was basically a small village—so is it now a small ghost town? To try and answer these questions we asked two people who’d separately visited the site. Julia Scheeres is a journalist and author who visited in 2008, while Aaron Oldenburg is an assistant professor with the University of Baltimore who visited in 2010. We spoke to both to learn what’s left of the buildings, and to hear about how it felt to visit such a tragic place. Disappointed, Scheeres explored the compound with her guides who macheted back the thick jungle to find a few rusting car carcasses. Almost everything else was gone. Jim Jones began his career in Indiana in the 1950s, where he became known for encouraging the African American community to join his congregation at the Peoples Temple. The following 20 years saw the group move to California before finally settling in Guyana, South America. Construction of Jonestown began in the early 1970s but it wasn’t until 1977 when the bulk of members actually arrived from San Francisco. This was following intense pressure by the press, who’d begun accusing the increasingly unhinged Jones of fraud and sexual abuse. In mid-November 1978, Californian congressman Leo Ryan and his entourage visited Jonestown after hearing that former members of his electorate were being held against their will. And though the community appeared cheerful enough on the surface, Ryan got word that several wanted to leave. A bargain was struck and Ryan agreed to take a few people with him, only for several members to be gunned down on the airstrip, including Ryan. This precipitated Jones' decision to order mass suicide. After the demise of Jonestown many of the locals returned to the site to scavenge through the various remains. Aaron Oldenburg, who visited in 2010, spoke to a 70-year-old local named Wilfred Jupiter when he was there. Oldenburg explained how Jupiter helped clear the site in the late 70s, and that some locals even tried to retrieve weapons, such as arrows, but were told to leave them as they were believed to be dipped in cyanide. Mattresses were collected by the local government and given to the community, medical books distributed to the medical centre in Port Kaituma, and smaller items such as plates were scavenged and handed to the locals. By the early 1980s the site was being used as a refugee camp by Hmong minorities fleeing Lao, as appointed by the Guyanese government. But a few years later, Jonestown burned to the ground and was left to decay amid the encroaching jungle. And yet, reflecting on her trip, Scheeres found that many of the locals were happy to describe Jones as “the devils incarcerate.” She also recalls meeting Wilfred Jupiter, who told her that he’d witnessed a woman throw a grapefruit into a ditch, and that Jones' voice could be heard over the loudspeaker, publicly scolding her. Or there was another time when a boy was forced to eat chilli after wetting the bed. “Forcing kids to eat hot peppers was one of the more creative punishments in Jonestown,” she said. The area has also stirred up strange rumours. “There’s a lot of speculation from locals about what people at Jonestown did with large shipments of cement. Some thought they were building tunnels to smuggle uranium,” says Oldenburg. He also heard rumours about the doctor who mixed the poisonous cyanide who apparently stashed $30,000 in a nearby quarry. However, the locals are also tied to the site in more physical ways. Valita George, a Port Kaituma local who lived her life at the edge of Jonestown, was directly affected by the following massacre. According to Scheeres, who talked to Valita, three of her siblings, who were sent to Jonestown to live as a result of having a disabled mother, ingested the fatal poison. Their bodies, which George attempted to locate the next day, were missing. In fact, many of the bodies lying dead across Jonestown were never claimed. Whether their families were too poor or too ashamed is up for conjecture. Instead, after negotiation between the American and Guyanese government, they were airlifted to Oakland, California where they were buried in a mass grave. So where to for Jonestown today? “The Guyanese government was talking about rebuilding some of the structures, including sleeping quarters, and charging visitors admission in a bid to attract some “dark tourism” dollars,” Scheeres says. According to Dom Joly, author of the book The Dark Tourist, visitors would potentially be invited to stay the night. Recent visits from the Guyana Minister for Tourism seem to support this. 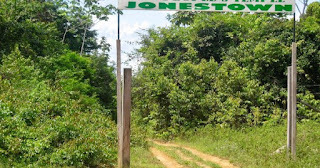 And in fact, the Guyana Chronicle recently published an article claiming that the Roraima Tours had began offering flights and sightseeing trips to the site in 2016, more specifically to the memorial at Jonestown’s entrance.